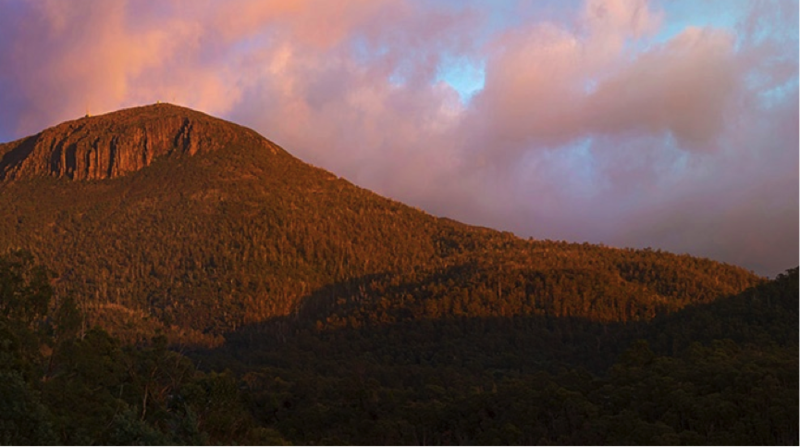 "Residents Opposing the Cable Car (ROCC) is a group of people who care about Kunanyi, who value having the mountain that looms above Hobart remain wild and natural. There’s a road to the top and telecommunications infrastructure there, but that is all. The foothills and slopes, and the dramatic summit cliffs, well loved as they are, remain intact. There’s a proposal to run a cable car up Kunanyi and we oppose that. We oppose pylons, wires, forest clearing, bus-sized carriages running directly over the incredible cliffs every 5 minutes and for up to 16 hours a day, and the proposed large multi-storey building at the summit. The development would fundamentally change the character of the mountain. It would become just another tourist destination and the wild nature of Kunanyi would be lost. There are many people who are fiercely protective of Kunanyi and some of those people formed ROCC. Some of us live right under the Mountain and others live elsewhere around Hobart. We are a diverse bunch but working together has brought to the fore an extraordinary range of high level skills - research, design, networking, communications, legal, photography and more. And if we can’t find the skills within the group it’s generally not a far reach to find them willingly offered from elsewhere. We are all volunteers of course, but we think about and work on this campaign all of the time. Determination to keep Kunanyi as a natural and unshackled icon is our common motivation and incredible creativity springs from that determination. We look to Kunanyi virtually every day of our lives here. It’s our glimpse of wilderness, our restful gaze and a weather station all in one. The least then that we can do is to look after it."